Siyabonga Africa was honored to host impactful and inspiring Women in Business workshops this August in celebration of Women's month. The workshops were presented by ABSA Enterprise Development, in collaboration with the Gauteng Provincial Legislature. 35 mainly women owned businesses received training in entrepreneurship, finance, sales and marketing. Last year, Siyabonga Africa added two new courses to our skills training programme. Siyabonga Africa made sure that poor and homeless people were touched by the spirit of Christmas last December. We've just launched our first programme aimed at preparing suppliers for business. 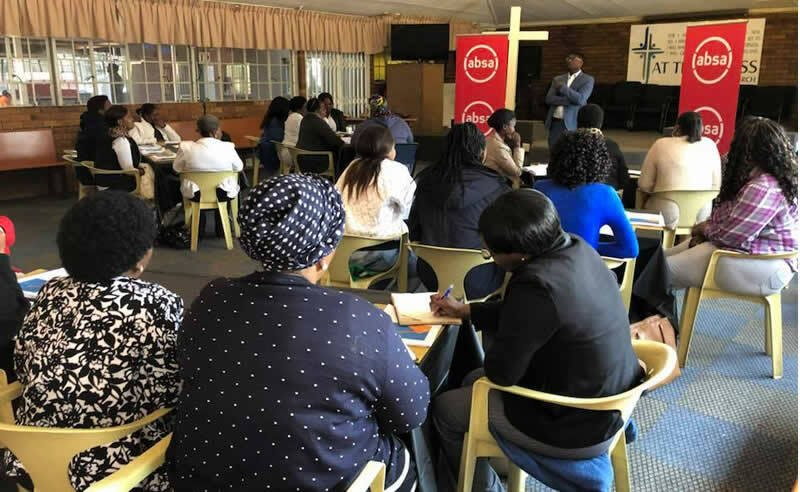 During August, Siyabonga Africa hosted four impactful and inspiring Women in Business Workshops. Ten youth wanting to escape from a life of addiction took the first step to rehabilitation. SIyabonga Africa is a registered non-profit organisation (000-394 NPO) and Public Benefit Organisation (PBO 93001 0 666) committed to ending poverty in South Africa. Over the past 30 years, thousands of people have been empowered to take charge of their own lives and destiny. We work with a diversity of people in need – from the most vulnerable to those who have the potential, but lack the opportunity, to become self supporting.